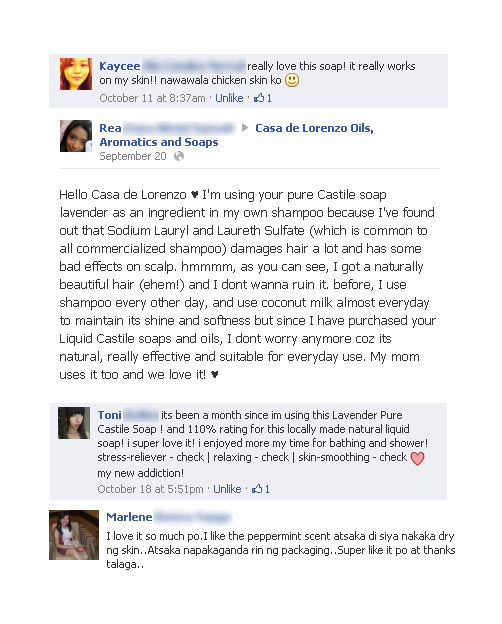 We're excited to share to everyone the feedback of people who've used the Natural Liquid Soaps of Casa de Lorenzo. Here's a few of those who've tried. Experience bathing luxuries naturally. 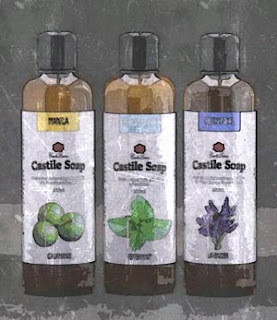 Get a bottle of Casa de Lorenzo Liquid Castile Soap and Old Fashioned Soap today and feel the difference. Visit our website http://www.thecasadelorenzo.com and order now. 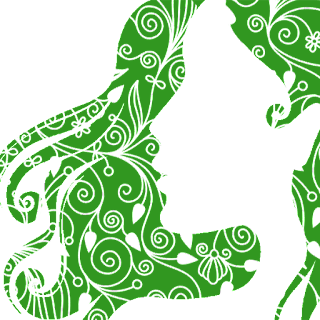 We offer Cash-On-Delivery to Metro Manila and Metro Cebu customers. Email us at order@thecasadelorenzo.com for more details.